Windows 8.1 now has two easy to use, customizable interfaces. 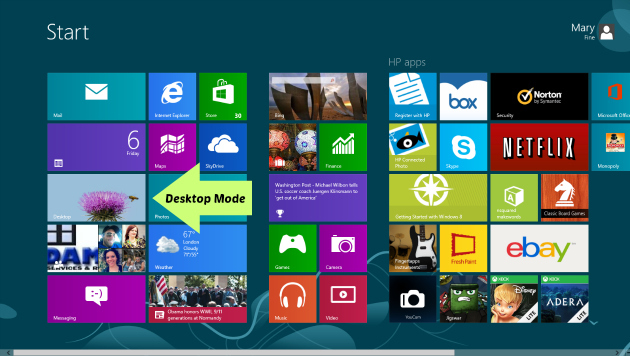 Jennifer taught you about Metro Mode in her latest post, Customizing Windows 8. 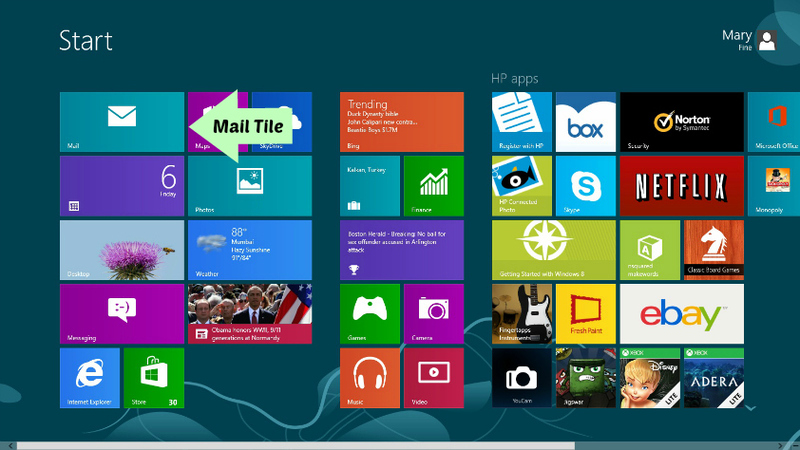 The Metro Mode in Windows 8.1 allows you to personalize your desktop or laptop computer by creating and customizing tiles. Metro Mode has a much different, more modern feel than Desktop Mode. 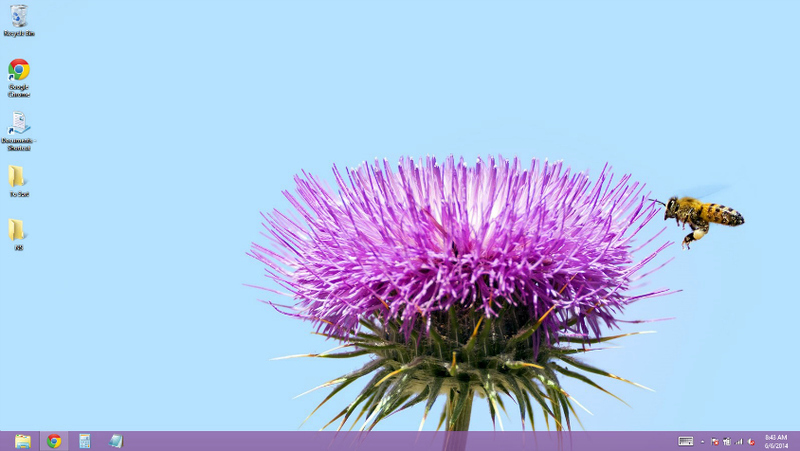 Windows 8.1 Desktop Mode has the look of the Windows 7 that you are used to, with a slightly different feel. Locate Desktop Mode: Your computer will be in Metro Mode when you first boot your computer up. 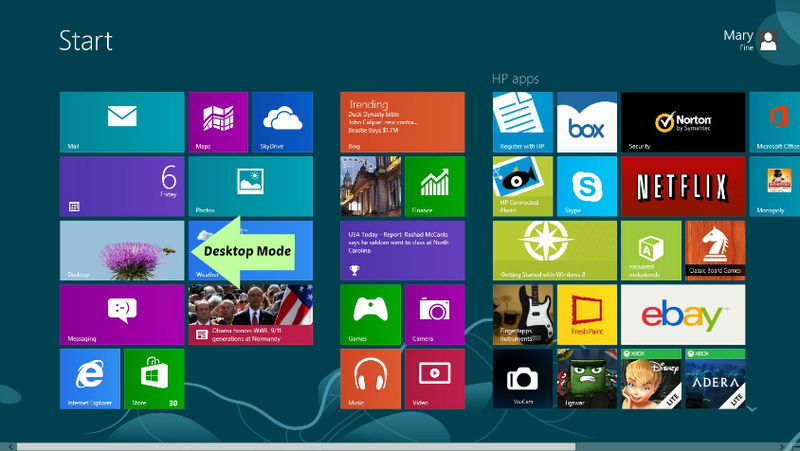 Desktop Mode will be shown in one of the tiles, as pictured above. You are able to enter Desktop Mode two different, but easy, ways. The first way is to simply press the Desktop tile icon. The second way is to press the Windows key on your keyboard or screen, if your computer is a touch screen. The Windows key is normally located on the bottom row of keys, close to the space bar. You can see a larger view of the image above by clicking this link or on the image. Customizing Desktop Mode: Once you are in Desktop Mode, you will experience the look and feel of Windows 7 but with some slight differences. You will notice that the start button normally in the bottom left corner is missing. Metro Mode has replaced the Start button. All of the programs can now be found in Metro Mode, or by searching for a particular program. Programs that are used more frequently can be pinned to the taskbar at the bottom of your Desktop Mode Screen. 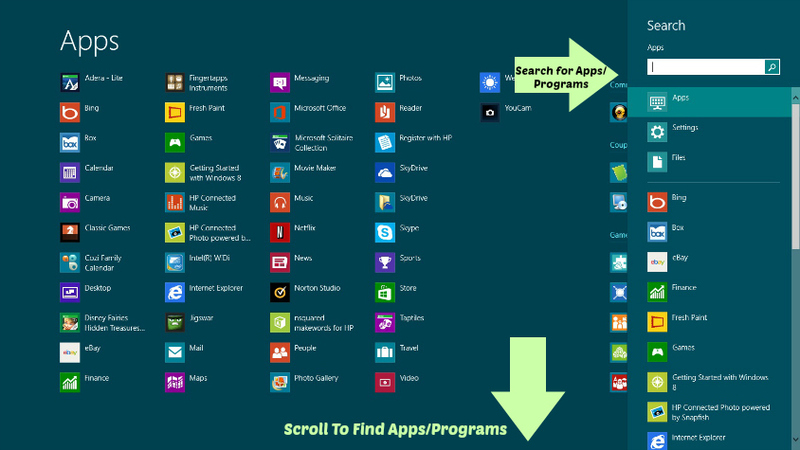 You can use the search feature to find anything from downloaded applications and programs, to pre-installed programs or to get to a help menu. See a larger view of the search function by clicking this link or the image below. 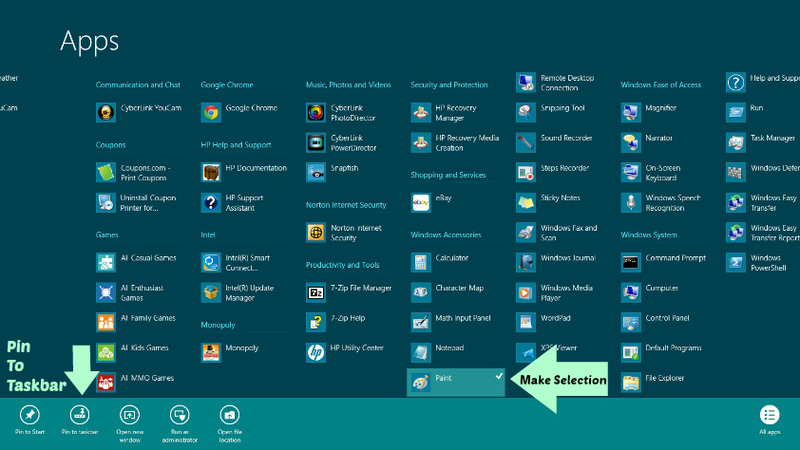 Customize Your Taskbar: If there is a particular application or program that use use more frequently, you can pin it to your task bar for ease of access. I have my File Explorer, Google Chrome and Calculator pinned, because those are programs that I use on a daily basis. It is easy to customize your taskbar. When you are in the search function, as shown above, simply right click on whichever application or program you would like to pin. An option menu will appear at the bottom and you will then select “Pin to Taskbar.” You can then change the order of icons on your taskbar by dragging and moving them into a position that makes sense to you. Email: There are a number of ways that you can access your email. The easiest way to access your email through Desktop Mode if you are using a web based email like Google or Yahoo will be through your internet browser. You can also set up your email in Metro Mode to be a consolidated one touch access. The feel of the Metro Mode email application is very much like Microsoft Outlook. For email ease of use, it might be wise to pop over to Metro Mode. Snipping Tool: The Snipping Tool is a great Desktop Mode feature. Snipping Tool is just like taking a screen shot, except you get to choose the content that you want in your screen shot. It is great to use if you only want to copy a sample of a webpage or email. Use the search function to locate the Snipping Tool. Once opened, it looks like a small tool box. Select “New” and you can then use your mouse to drag a selection box over whatever content that you would like to copy. Windows makes it easy to use your computer for business and for pleasure. Metro Mode allows you to customize what tiles are shown and what they look like while maintaining a more modern and fun feel. When you use Windows 8 in Desktop Mode, it provides you the traditional Windows that you are used to, with a few minor improvements. Using my Intel AIO HP Envy Rove installed with Windows 8 has been great. The touchscreen is great for using Metro Mode. The tiles feel like they were made to be used with a touchscreen. The Desktop Mode is perfect for using with the ease of a mouse. Windows 8 is truly the best of both worlds.